Homes In Transition in the National Spotlight. Company President, Tom Schmidt, was whisked away to Santa Fe when Fox News needed an expert to discuss the pro’s and con’s of our Caretaker program verses the program instituted by a California Mayor, which consisted of painting what should be a lawn, so that it looked green. The interviewer was stunned that a municipality would pay for such a service when Homes In Transition could put a real person in that home to Breathe Life Into those empty houses and make them viable for selling. Needless to say, our national exposure was wonderful and we began fielding calls from all over the country. 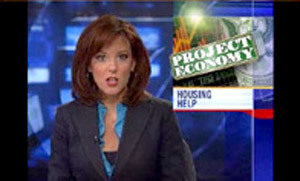 Matt Lauer has the feature story on Foreclosure Stripping on the Today Show. It’s an eye opener! Shelly Ribando does a feature story on Homes In Transition in Albuquerque. reports on their investigation of reputable Caretaker companies that are working to provide a great solution for Caretakers and are safe to work with.